Sign-up and receive Property Email Alerts of Residential Estates in The Yacht Club, Foreshore. The Yacht Club offers investors an exclusive opportunity to own one of Cape Town's most sought after addresses. Strategically positioned to face the harbour (and world renowned Table Mountain), these waterfront apartments are set on the doorstep of the city's Foreshore financial hub. A stone's throw from the Cape Town ICC (International Convention Centre), this mixed-use development is mere walking distance from the iconic V & A Waterfront. Not only does this cosmopolitan location offer security and comfort, but the two apartment towers will also be near the AC Hotel (run by Marriot). 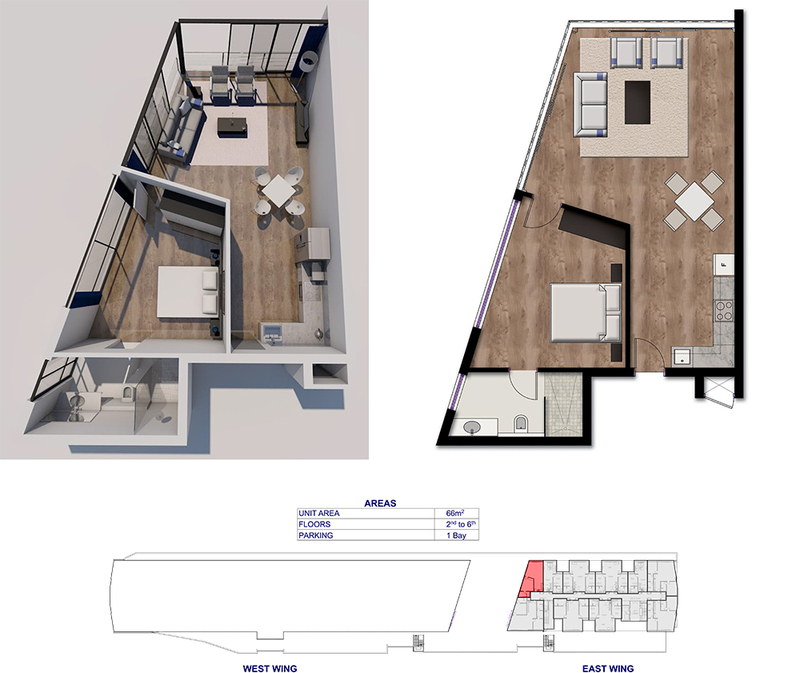 It's safe to say that an apartment at The Yacht Club ticks all the boxes of a thriving residential property asset. Set within the Roggebaai Canal Tourism Precinct, this thriving sector of Cape Town is blessed with a working harbour and will soon be home to a fully-functional passenger liner terminal. Whether it's a one bedroom, two bedroom or luxury corner apartment; residents and visitors alike will enjoy jaw-dropping views. Neighbours are expected to be as diverse as young professionals, first-time buyers, investors, and regular visitors to Cape Town (as well as corporate and long-stay accommodation). Fully conscious of the need to be environmentally-friendly, every apartment enjoys energy-efficient features such as double-glazing and LED lighting. Modern styling, chic finishes and precise fittings will not only ensure the apartments hold their value; but also provide the setting for a most magnificent vista.